Most are sized to be held using both hands, although sizes vary widely from opera glasses to large pedestal mounted military models. Unlike a (monocular) telescope, binoculars give users a three-dimensional image: for nearer objects the two views, presented to each of the viewer’s eyes from slightly different viewpoints, produce a merged view with an impression of depth. Binoculars use a series of lenses, elements, and prisms to produce a magnified view of distant people, places, or things. Using two parallel optical tubes allows you to observe with both eyes open, which is more comfortable and natural than using a spotting scope or telescope—which requires you to keep one eye closed. Additionally, having both eyes open maintains your depth of field and provides you with a rich and immersive experience where the scene takes on a more lifelike, 3-D appearance. How to use Zoom Binoculars, and see shape clear image? 3, Setting Diopter: if not show single circular field, Setting Diopter. 4, Focusing: after seeing single circulars field, adjust focus using center focusing wheel and both eyes will always remain in focus. 5, Zooming: with the zoom level, adjusting the magnification in stages. Please note, with variable magnifications, you will have to correct the picture sharpness using the center wheel. 6, Never attempt to clear internally or take it apart. 7, Never view the sun or other strong luminous objects with your binoculars. How to adjust the IPD? The distance between the eyes called interpupillary (IPD) is varies from person to person. To achieve perfect alignment of lens of binoculars to your eyes, follow these steps. 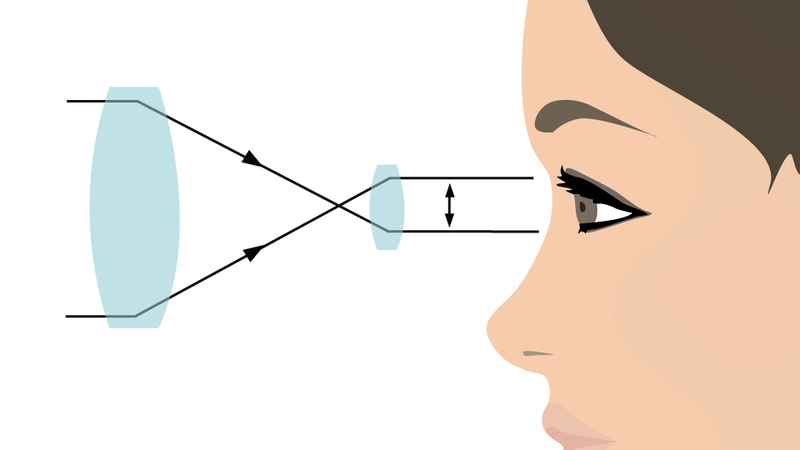 2, Adjusting the distance between eyes by bending both barrels closer together or further apart until seeing single circular field in two eyepieces. Always reset binoculars to the position before using. The diopter adjustment is designed to let you compensate for differences between your own two eyes. Once you set the diopter, then the two barrels should stay in proper relation. From then on you can focus just by turning the central focusing wheel. 1, Close your right eye and sight an object with your left eye. Focus the binoculars by rotating the center focus wheel until the image is sharp and clear. 2, Close your left eye, and sight this object with your right eye. Focus the binoculars by rotating the right eyepiece until the image is sharp and clear. 3, Note the setting of the diopter scale for later use. If you’ve been shopping for binoculars, you will have noticed that some look very streamlined while others look chunkier. This is because the physical appearance and size of a binocular is determined by the type of prism it uses. Prisms are used to correct the orientation of the view horizontally and vertically so the scene looks natural; without a prism, binoculars would make things look upside down and flopped. There are two principal types of prisms: Roof and Porro. The glass elements in a roof prism are in line with one another, making roof-prism binoculars more streamlined and easier to hold. Porro prisms have the glass elements offset from one another, and can provide greater depth of field and a wider field of view compared to similar roof prism models. This is accomplished by folding the light path, which shortens the length, spreading the objectives farther apart. There can be a huge range in price between apparently similar pairs of binoculars. 10×42 binoculars ranging in price from less than $30 to nearly $3,000. The main reasons for such a large price range are the quality of the optics, the types of coatings applied to the lenses, and other features that might be added, such as the housing material. Additionally, the prism type can be (and often is) a factor in determining price. Because of the physics involved in designing and manufacturing the compact roof prism form factor, you can have a pair of roof and Porro binoculars that seem identical as far as quality and performance, but the roof prism version will often be more expensive. The good news is that if the form factor isn’t an issue, many people find that they can upgrade the quality of their binocular by choosing a Porro-prism without reëvaluating their budget. Technically, the type of prism utilized in binoculars is a double-Porro prism, but is always shortened to just “Porro.” It is also always capitalized because it is the last name of the inventor, Ignazio Porro, who designed this prism system around 1850. This most basic of prism configurations is defined by the folded light path, which displaces the point where the light enters and exits the prism, which results in the familiar look of a “traditional” or “old-school” binocular. The term “roof prism” was originally applied to the Abbe-Koenig (AK) prism design that corrected an image horizontally and vertically while maintaining a straight line from the point at which the light enters the prism and exits it. While the AK prism configuration is the most common, there are others that are variations on the original AK design, such as the Amici and Schmidt-Pechan (SP). While they accomplish the same basic function, the optical paths take different routes to correct the image orientation. The main advantage of the SP design is that it is more compact than both the Amici and AK prisms, resulting in thinner optical tubes that tend to be more comfortable to hold—especially during long glassing sessions. Zeiss is known for using SP prisms. Pro Tip: Because Porro prism binoculars are typically more cost effective to produce than roof prisms, you will often be able to get a higher-quality and/or larger-objective Porro model for about the same price as a comparable roof prism one. All binoculars are identified by a set of numbers, such as 10×42 and 7×20, which refer to their magnification and objective lens diameter, respectively. Using 10×42 as an example, the 10x means that the binoculars have 10x magnification power, making the view through them appear 10 times closer than it appears to the naked eye. For most situations, users should look for binoculars from 7x to 10x power. Theatergoers should choose something in the range of 3-5x, depending on your seats; sports fans will be happy with a 7x model; while big-game hunters would need 10x or higher for long-range observations. Keep in mind that for many users, holding binoculars greater than 10×42 steady for long periods may present some difficulty, so a tripod should be considered if you are looking at models with higher magnifications or larger objectives. The “42” in our 10×42 binocular refers to the diameter of the objective (front) lens in millimeters. Since the objectives will often be the largest portion of the optic, it will affect the overall size and weight of the binocular, and how much light it can gather. In basic terms: larger objectives allow more light to pass through them than smaller lenses, which means images will appear brighter, sharper, and clearer. However, the larger objectives will also add bulk and weight, and that is where certain tradeoffs and compromises need to be considered when deciding if certain models will be convenient to carry, pack, hold, and use comfortably. 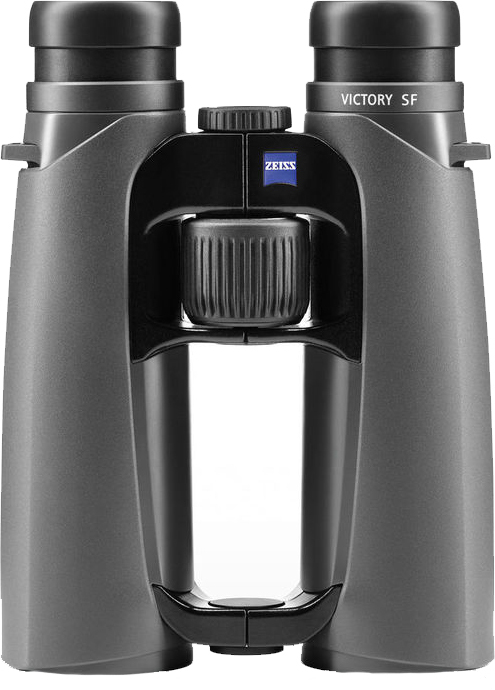 Zoom binoculars offer variable magnification and are shown as 10-30×60. In this example, 10x magnification is at the low end and 30x magnification at the high end. On most models, there will be a thumb lever or wheel placed conveniently within reach so you can adjust the magnification without changing your grip or taking the eyepieces away from your eyes. While zooms offer greater versatility, there may be a discernible degradation in image brightness and sharpness somewhere along the zoom range, since the optical path and physics of prisms will have been optimized at a single power and, as you move away from that magnification, the image quality might suffer. The exit pupil is the size of the focused light that hits the eye. To see the exit pupil, hold the binocular eight to ten inches away from your face and notice the small dots of light in the center of the eyepieces. Exit pupil diameter, which should always be larger than the pupil of your eye, is directly affected by the objective diameter and the magnification. The pupil of a human eye ranges from about 1.5mm in bright conditions to about 8mm in the dark. If your binoculars’ exit pupil diameter is smaller than the pupil of your eye, it’s going to seem like you’re looking through a peep hole. Bear in mind that as eyes age, they tend to dilate less, so exit pupil becomes more important as the user ages. Binoculars’ exit pupil diameter is determined by dividing the objective by the magnification: so a 10×42 binocular has a 4.2mm exit pupil diameter. That’s a generous size, and larger than the pupil of the eye most of the time. But a 10×25 pair of binoculars has an exit pupil of just 2.5mm, which is smaller than the average pupil dilation and will be harder to see through clearly. Zooming binoculars might have a perfectly acceptable exit pupil diameter under low magnification but one that’s somewhat small under high magnification. For example, this 10-30×60 binocular has 10x magnification at the low end and 30x magnification at the high end. At 10x, the exit pupil diameter is a respectable 6mm, but at 30x, it’s only 2mm. The Exit Pupil will ideally be larger than the dilation of your pupil. Pro Tip: Hunters, birders, and astronomers should keep the magnifications at 8x and below and boost the objectives up over 50mm to produce really wide exit pupils, such as this pair of 8×56 from Steiner. I used this specific pair in the middle of the night and they could completely cover my pupils, which boosted my ability to see, despite the dark surroundings. Boaters should also consider this type of configuration because the wide exit pupil will help to minimize the disorientation that is common when viewing through binoculars on pitching or rolling water. Eye relief is the optimal distance from the eyepiece to your eye, or the focal point where the light passes through the ocular lens (eyepiece). Manufacturers install eyecups on the eyepieces to place the user’s eyes at the proper distance from the eyepieces to make using them easy. If you wear glasses, the lenses will position the eyepieces past the eye relief distance, affecting the image quality and your ability to achieve sharp focus. Many binoculars offer dioptric adjustments on one of the eyepieces so that most users can fine-tune the focusing system to their eye prescriptions to use the binocular without their glasses. If your prescription is difficult, or you’re sharing the binocular with other users, the eyecups are often adjustable. Basic eyecups simply fold back to allow you to place your eyeglass lenses closer to the ocular lens. Another type is adjustable eyecups that twist in and out to set the proper distance for the individual user precisely. Generally, you’ll find that models with longer eye relief have a smaller field of view than similarly priced models with shorter eye relief. Accomplishing superlative specifications in both categories is an expensive process of optical engineering. It is always good to have a broad viewing area, so decide how much eye relief is necessary for you and buy the binoculars that otherwise give the widest field of view. Field of view is discussed in greater detail below. The type and quality of the glass used for the lenses and prisms matter. Generic optical glass may have imperfections, and if it isn’t ground and polished correctly, it could bend light oddly, causing colors to look skewed or prevent its ability to achieve tack-sharp focusing, or you may notice distortion at the edges. Specialized glass, such as low dispersion or extra low dispersion, is engineered to have virtually no distortion and transmit light better without bending it. The resulting images are generally clearer, sharper, with true color rendition and higher contrast. You may also see some binoculars made with “Eco-glass.” This general term refers to ecologically friendly glass that doesn’t use leador arsenic. While this may or may not affect the image quality, if your lenses break or you need to dispose of your binocular, you can feel confident that you’re not adding to chemical pollution. The discussion in the opening paragraphs dealt with the two main types of prism configurations, but beyond that, the materials that the prisms are made of greatly impact image quality. BAK4, or Barium Crown glass, is considered the best type of prism material. It has a high refractive index and lower critical angle than other materials, which means it transmits light better with less light being lost due to internal reflection—such as from internal bubbles trapped during the manufacturing process. BK7 glass is arguably the most widely used material for binoculars. While it may be of slightly lower quality than BAK4, it is still optical glass, which means it has excellent light-transmission properties and a limited number of internal imperfections. The easiest way to tell if your binocular employs BAK4 or BK7 is to turn it around, hold it 6 to 8″ away from you and look down the objective and observe the exit pupil. If you can see a squared-off side to the general roundness of the image, the binoculars have BK7 prisms. BAK4 prisms show a truer round exit pupil, which translates to better light transmission and edge-to-edge sharpness. SK15 glass is an atypical material that strikes a middle ground between the previous two. It has a higher refractive index than both, yet has a dispersion (measured on the Abbe scale) that falls between BAK4 and BK7. Images that are seen through SK15 prisms are very clear, with high contrast. Lens coatings are films applied to lens surfaces to reduce glare and reflections, increase light transmission and contrast, and help make colors look more vivid. Any light reflected is light that never reaches the viewer’s eyes, so by eliminating reflections, the image ends up being brighter and sharper. Coatings, in general, are good, provided that the coatings do something. It’s easy to put a cheap coating on a lens to give it a cool-looking orange tint, but the coating might not do anything to improve image quality. If you aren’t able to test a pair of binoculars before buying, the best you can do is research the brand, look for user reviews, and ask questions before you buy. Terms such as coated, multi-coated and fully multi-coated refer to the location and type of coating processes used. Coated lenses are the most basic and denote that at least one lens surface has at least one layer of coating on it. Multi-coated means that multiple surfaces are coated and/or multiple layers of coatings have been applied to each surface. Fully multi-coated means that all surfaces—inner and outer—of the lenses have multiple layers applied to them. This treatment offers the highest level of light transmission, clarity, contrast, and color rendition. At the pinnacle is broadband fully multi-coated. These coatings are engineered to be effective across a wide spectrum of wavelengths and provide the best performance. Complementing lens coatings are prism coatings, which increase light reflection and improve image brightness and contrast. While many manufacturers may use standard reflective coatings, the upper echelon of prism coatings is called dielectric coatings, which allow almost 100% of the light through the prism, resulting in brighter high-contrast images. Another type of prism coating, only used on roof prisms, is called “phase-correcting” coating. Because of the way roof prims reflect light, after it moves through the objective lens, it gets split into two separate beams that travel through the prism system independently. The beams experience a “phase shift” as one beam strikes the eyepiece lens a fraction of a second before the second beam. When the two beams are recombined in the eyepiece lens they are slightly out of phase with each other, which can affect color balance and rendition. By applying special coatings on the prism, the faster light beam is slowed to match the slower beam, bringing them back into phase when they hit the eyepiece lens—greatly improving color, clarity, and contrast versus non-phase-corrected prism binoculars. Under normal circumstances, most users won’t notice the difference, but pro users and avid birdwatchers may require it to be able to pick out important details at a distance or in challenging light. Since Porro prisms don’t suffer from phase shift, these coatings are not used on them. The terms “angle of view” and “field of view” are complementary. Both terms describe the amount of scenery, measured horizontally, that is visible when looking through a binocular. Imagine standing in the middle of a giant pizza pie; binoculars with a 6.3-degree angle of view would show the viewer a 6.3-degree “slice” of the 360-degree pie, looking outward. Another way to express the viewing angle is the Apparent Angle of View (AAoV). This is roughly calculated by taking the AoV and multiplying it by the magnification. So if that 10×42 binocular from the earlier example has a 6.3-degree AoV, its apparent angle of view is 63 degrees. The AAoV is the angle of the magnified field when you look through binoculars; so the larger the apparent field of view is, the wider the field of view you can see even at high magnifications. Generally speaking, an AAoV of more than 60 degrees is considered wide-angle. Nikon engineers developed their own mathematical formula to determine AAoV (see below) more accurately and precisely, which lowers the angle on average, but most of the optics industry continues to use the first formula for consistency and simplicity. Pro Tip: While shopping for binoculars, if you see a degree specification without a label, just remember that if it’s a low number like 6.3 or 7.8, this will be the actual angle of view, since it’s referring to the angle at the objective lens. If it’s a large number like 55 or 68 it is referring to the apparent angle of view. 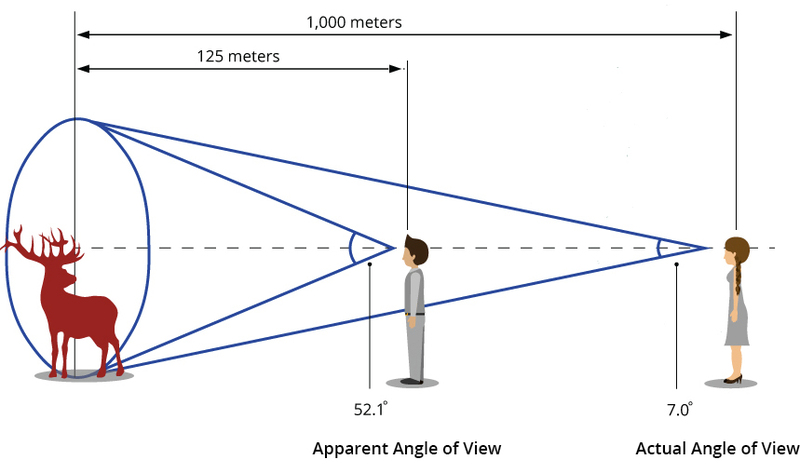 Field of view is expressed in feet at a distance of 1,000 yards, or meters at 1,000 meters, and is the width of the visible area that can be seen without moving the binoculars. Generally, the higher the magnification and smaller the objective, the narrower the field of view. The first thing to know is that 1 degree = 52.5 feet at 1,000 yards. From there you can start calculating. So if you have an 8×42 binocular and the FoV is 360′, you can calculate that the AoV is 6.9 degrees (360 ÷ 52.5) and that the AAoV is 55.2 degrees (6.9 x 8). By flipping these basic formulas, you can extrapolate any of the other values. Just to show the relationship between magnification and FoV, if that binocular above was a 10x instead, and the FoV was the same, the angle of view would remain 6.9 degrees, but the apparent angle would be pumped up to 69 degrees. This might seem like an odd thing to consider, since the whole idea of a binocular is to look at things that are far away; and for most users this is absolutely true. However, there are a fair number of enthusiasts who use their binocular for bird watching or insect observation. Many bird watchers like to have a close minimum focus distance that can allow them to see minute detail of birds—like wing bars, beak shape, or crown markings—while birds are feeding. 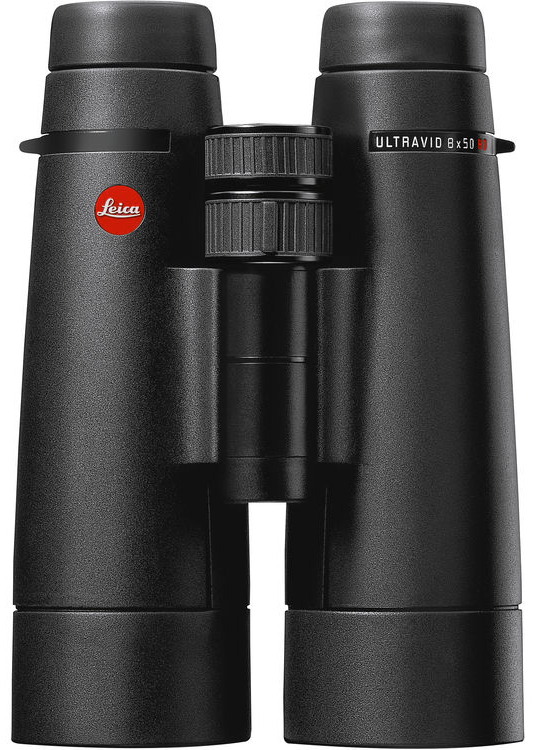 A close focus of less than 6′ for a full-size binocular is noteworthy. Typically, as magnification is increased, the minimum focus distance also increases. For users interested in a short close-focus distance, they should look at larger objectives and keep the magnification at around 8x. This is sort of a catch-all category to discuss some design features that speak to the form and function of the optic, rather than the performance. Open or Closed bridge refers to the center portion that connects the two optical tubes on roof prism binoculars. Typically, the center hinge and focusing mechanism will be enclosed in the housing. While this strengthens the hinge and mechanism, the closed bridge prevents your hands from wrapping all the way around. An open bridge will usually have the focus mechanism close to the eyepieces and another stabilizing section toward the objectives, with the middle section left open. This not only enables a full wraparound grip, but it also cuts the overall weight of the optic. The clear majority of binoculars use a center focus system. The main focus wheel is set on the bridge between the two oculars and moves them symmetrically. With center focusing, many manufacturers will have a dioptric adjustment dial on one of the eyepieces to fine-tune the focus to match individual optical prescriptions. The dioptric correction amount is decided by each manufacturer, usually by model, and can be on the left or right eye, or both. Certain models have the dioptric correction integrated into the center focusing mechanism. There are two other focusing types that need to be addressed: individual and focus-free. The individual focus models eliminate the center-focusing mechanism to give each eyepiece the ability to focus independently. While this allows for extremely fine and precise focusing, they are often frustrating to use when sharing and should only be considered if there will only be one primary user. Many marine and astronomical models feature this system. Focus-free binoculars don’t have any focusing mechanisms. They rely on your eyes to focus the image, allowing you to concentrate on the scenery and enjoy the views. Some users with exceptionally poor eyesight or weak eyes should probably steer clear of focus-free models because they put a lot of stress on the eye and can cause discomfort such as eye strain or headaches. Pro Tip: If you plan on sharing your binoculars or using them for a variety of distances, stick with center-focusing models. For astronomy or marine use, individual focus will provide the sharpest views and you won’t have to adjust the focus very often because they will be focused on “infinity” (far-away subjects) where the focus won’t change much. Many binoculars have no weatherproofing, while some are waterproof and others are waterproof and fog proof. The rating will determine under what conditions the optic should or can be used. Binoculars that have no weatherproofing should not be used in the rain or at sea, because moisture can get inside them. When water gets into the optical tubes, it can condense on the inside of the lens (called “fogging”), which interferes with your view, and eventually leads to internal rust and corrosion. Often, but not always, the optic will employ some type of seal—an O-ring or gasket—to keep moisture, such as from general humidity or a light mist, from getting into the optical tubes. You can take a weather-resistant binocular out in moist conditions without causing damage. The air inside the optical tube will probably be just ambient air from the factory where they were assembled, and due to air conditioning and other factors, will usually have an extremely low moisture content. What this means is that under most normal conditions, a binocular right out of the box shouldn’t have fogging issues, even if it is O-ring or gasket sealed. These binoculars are sealed with O-rings to prevent moisture from getting inside; but they can still fog up on you. Depending on the construction and the seals, some waterproof binoculars are also submersible for various amounts of time. Certain manufacturers rate their binoculars for limited depths for limited amounts of time; others will adhere to military standard specifications and rate them for much greater depths. Fogging occurs when the air inside the optical tubes contains moisture. If you go from a warm cabin to frigid conditions outside, the moisture can condense on the inside of lenses, causing them to fog. Fog-proof binoculars are filled with inert gases such as nitrogen or argon, or a combination of the two, to prevent fogging. The inert gas is dry and is pumped into the optical tubes under pressure, keeping the gaskets and O-rings firmly in place. A constant question I am asked is, “What’s the difference between nitrogen and argon?” A quick Google search will return many links to forums where people have very strong opinions on the matter and will get into any number of online arguments over the subject. The short answer is that, performance-wise, there really isn’t much of a difference between the two for the clear majority of people. Both gases will keep moisture out and prevent internal fogging. If you do a deep-dive into the chemistry and look at a diagram of each molecule, you will see that argon molecules are larger than nitrogen molecules. Because of this, some manufacturers feel the larger argon molecules will have a harder time leaking out from the seals, keeping the inert gas inside longer and thus maintaining their water/fog-proof properties over a longer period of time. From a practical standpoint, as long as you have an optic with either of these inert dry gases versus having none, you’re ahead of the game. Pro Tip: Remember… all fog-proof binoculars are waterproof, but NOT all waterproof binoculars are fog-proof. The chassis is the frame of the binocular around which the whole optic is built. By and large, the most popular material on the market is aluminum—or more specifically, an aluminum alloy. Aluminum is light and strong, inexpensive, and easy to work with, and the fact that it is naturally corrosion resistant is a bonus, as well. Another metal alloy, magnesium, is used because of its high strength-to-weight ratio. All things being equal on two identical binoculars, except that one has an aluminum chassis and the other magnesium, the magnesium will be several ounces lighter. Why does this matter? If you’re planning on holding them up to your eyes for long periods of time, a lighter optic will cause less fatigue. Magnesium is very strong so it will hold up to abuse, and has the benefit of being corrosion-resistant. Polycarbonate is a polymer resin that comes in many formulas with many different properties. In general, they all share similar characteristics, such as being easy to work with and inexpensive, corrosion proof, and strong. The principal advantage of using polycarbonate is that it is temperature resistant. If you’re using the optic in extreme conditions (especially cold) the chassis will remain at a neutral temperature—unlike metals, which can (and will) get cold, given enough time. More importantly, metal expands and contracts with temperature fluctuations, so over the years that constant movement can pull the optics out of columniation, which will prevent the optic from being able to achieve tack-sharp focus. Since polycarbonates won’t expand and contract, they are not subject to this possibility. Pro Tip: Don’t be fooled by catchphrases like “aerospace-grade” or “aircraft-grade”—these don’t tell you anything about the quality of the alloy. Ask yourself: What part of the aircraft are they referring to? The bracket that supports the landing gear, or the bracket that supports your snack tray? Technically, they are both “aircraft-grade” because they’re used on an aircraft. Unless the manufacturer calls out a specific alloy—like 6061-T6, which has verifiable specifications—all you need to know is that aluminum is light and strong and leave it at that… and don’t pay for fancy terms that don’t mean anything. Rangefinder binoculars have an integrated infrared (IR) laser that is used to measure distance from the binocular to an object. They can be used at sea to measure the distance to another ship or possibly someone who needs rescuing, help hunters to measure the distance to their subject, or aid golfers to calculate their swing to the green. Rangefinder binoculars typically display the distance to the target in either feet or meters, with the readout visible in the eyepieces. Technological innovations have made the rangefinders more precise, and some can do a single spot measurement, or a constantly updated measurement so you can follow a moving subject and get virtually real-time distance. The latest versions incorporate an inclinometer that measures the uphill or downhill angle from you to the subject, and often have an internal computer running proprietary software and using special algorithms geared for golf or hunting can take the distance and angle (and even your cartridge and grain load), and calculate an adjusted distance for you to judge your shot, or show the click adjustment required on your scope. 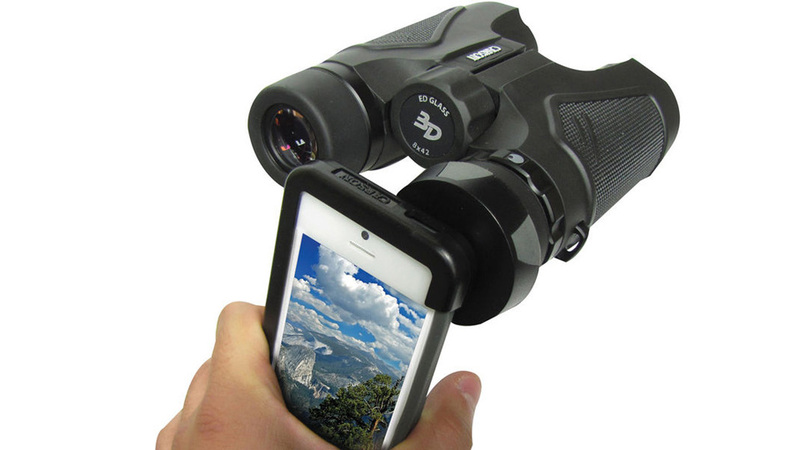 In the same way that digital cameras can have image stabilization, so too, can binoculars. Image stabilization compensates for operator movement, the swaying of a boat, or the vibration inside an aircraft, that normally prevent the viewer from having a steady image. Stabilized binoculars usually contain a gyroscope that requires power to provide stabilization, or a pendulum-type device that provides stabilization without being powered. Most often, this type of binocular is used by boaters to reduce the disorientation common with high-power optics, or while using them in choppy seas. They are also popular with aviators and search-and-rescue professionals. Marine binoculars will often have polycarbonate housings that are corrosion- and temperature resistant for use in saltwater environments, and might even be buoyant, so if they get dropped overboard, they can be retrieved easily; others still will feature bright colors to make them easier to spot. Some binoculars can have integrated digital and analog compasses. They will often have the direction displayed in the field of view for easier use and bearing reading. Digital compasses are battery powered and illuminated for use in most light conditions. Analog models can use batteries or might have an opaque window on the top of the housing to channel and focus ambient light to illuminate the compass. Many marine, image-stabilized, and rangefinder models offer versions with or without compasses. It seems like today manufacturers are putting cameras in or on just about anything – and binoculars are no exception. This growing class of binoculars feature integrated cameras, up to 13MP, with color display screen and a memory card slot. A simple user interface allows you to capture HD video or still images and either use the memory card to upload them to a computer or plug a cable into the two and transfer that way. For many people, if there isn’t a picture then it didn’t happen, so with this kind of binocular when you see that rare bird during the Spring Migration you can now quickly grab video of it and prove that you saw it. Basic accessories serve to replace lost or broken stock items or can simply make carrying or using your binocular a bit easier. These easy upgrades can include the following items. Tethered caps These have a ring that loops over the objective end of the housing, so when you need to take the caps off, you just flip them down and you don’t have to worry about losing them. Rain Guards Replace your two stock eyepiece caps with a one-piece cap that prevents the eyecups from flooding. It will often attach to the neck strap to keep it safe and handy for flash showers. Straps Not satisfied with the thin nylon strap that came with your binocular? Get a new one that’s longer, adjustable, padded, ergonomic, buoyant, colored, or outfitted in your favorite camo pattern. Cleaning kits/supplies Solutions, pens, cloths, cleaners, kits—everything and anything you need to clean and maintain your optic properly. Tripod Adapters As mentioned before, binoculars with magnifications of 10x and higher are hard to hold steady, especially if they have large objectives. Large binoculars sometimes have a built-in tripod mount that makes it easy to mount them on a tripod. Sometimes a tripod adapter is required. Typically, full-sized binoculars have a plug that unscrews from the front of center hinge. The adapter screws into its place and mounts on most quick-release plates or tripods. Some tripod mounts are simply a small platform on which to lay the binocular and hold it in place with an adjustable strap. Harnesses For most of us, the neck strap that comes with most binoculars is fine. For those who require more, there are numerous options for you. Some are designed to redistribute the weight of the binocular from the neck to the back and shoulders. Others provide a stabilizing function to allow you to hold the optic in your hand while virtually eliminating hand shake or other movements. For those who do activities and want to keep their optic at the ready, some harnesses hold the binocular close to the body and greatly reduce swinging or swaying while running, climbing, or skiing. Eyecups As we discussed earlier, the eyecups hold the eye at the proper distance from the ocular lens. Some manufacturers offer eyecup upgrades for certain models. The most popular are replacing standard flat eyecups with winged (contoured) eyecups. The “wing” wraps around your eye socket and blocks your peripheral vision, which eliminates light leakage for improved image brightness and a clearer view. Digiscoping The use of digiscoping adapters has seen an increase in recent years, since just about every phone in everyone’s pocket is equipped with a camera. These adapters, either binocular, phone-specific or (growing in popularity) universal fit, allow you to mount your phone on one of the eyepieces and take photos of the magnified view. Depending on the manufacturer, these adapters can be made of plastic or metal with varying degrees of usability options. The good news is that as the hobby grows, more and more options are made available so you can spend as much or as little you want. Pro Tip: Digiscoping adapters are inexpensive and very easy to use. If you want to get some great shots of birds, squirrels, the Moon, or your kids playing soccer or baseball, this method is much easier and cheaper to use than carrying around a DSLR and long lens. The world of binoculars is vast and constantly evolving. No matter what you’re using them for—from a night at the opera to hunting on the tundra to comet watching—there is something for everyone at every price. This article has offered a basic introduction to the terms and technologies that will affect your buying decision and the overall performance of the optic. After making your selection, don’t forget about the accessories that can enhance your viewing experience and turn a good view into a great view. 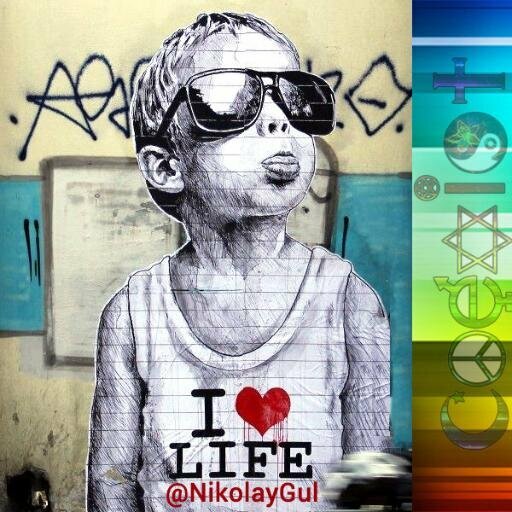 « Anonymous Customer Who They Are and How to Track Them?